After nearly being executed in a war zone, Staff Sergeant Leon Shield finds himself urgently recalled from deployment, and lands back home to a defeated country. In a matter of days, and without a single shot being fired, a new species has taken over the world. Determined to survive Armageddon, the only chance to fight back is to find a man called Ark, and use an untested technology to become Navigators. With hydraulics, armor and advanced vision, Navigators are soldiers of the future, and in the game of survival of the fittest, they become the only hope man has to fight for their right to dominate. 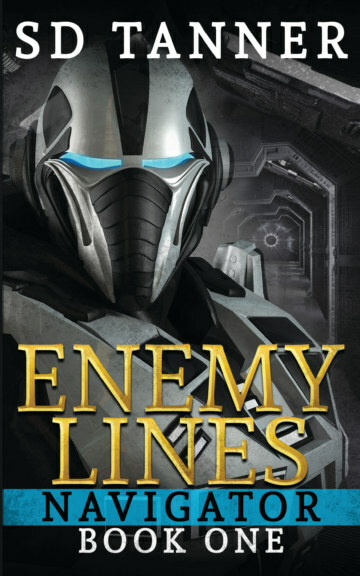 Enemy Lines is the first book in the four-part Navigator series. It's a fast paced, action-based story following the people who will need to become a tight knit team if they're to defeat an enemy capable of taking over the world.